Lose yourself in a vast, sci-fi odyssey as you explore a near-infinite, procedurally-generated universe. Set out from the edge of the Euclid galaxy and carve out your own interstellar existence in a vast universe teeming with life, danger and near-endless mystery. No Man's Sky is a hugely-ambitious, heavily-stylised, sci-fi adventure that spans entire galaxies all brought to life with procedural generation. Travel through an endless array of increasingly diverse and dangerous star systems, prospecting for rare materials, trading with alien life, populate planets and searching for clues to the meaning of the universe's mysterious existence. How you survive is up to you. Assemble entire fleets of dreadnought-class freighters and tear across the universe; build sprawling habitable bases across planet surfaces, beneath the ground or under the ocean; buy and upgrade your own weapons and star ships and do battle with outlaw space pirates, hostile alien fauna or the mysterious sentinel fleets. The universe is yours to explore - trillions upon trillions of planets, waiting to be discovered. The latest update from Hello Games adds a whole host of much-requested features to No Man's Sky, including full, end-to-end support for PlayStation VR. No Man's Sky Beyond brings an immmersive new dimension to Hello Games' near infinite sci-fi universe through PS VR. Climb inside the cockpit of your interstellar starship and control its thrust, pitch and direction simply by taking hold of the joystick. Then, from on high, peer down at the unexplored alien terrain beneath you and pick out a spot to land. Once on the ground, reach into your backpack to retrieve your multi-tool and switch between its many functions by simply reaching out and touching it, then reshape the landscape with perfect, free-handed precision. Not only this, create your own emotes in multiplayer as you casually wave to other travellers friends or fist bump your PS VR peers. 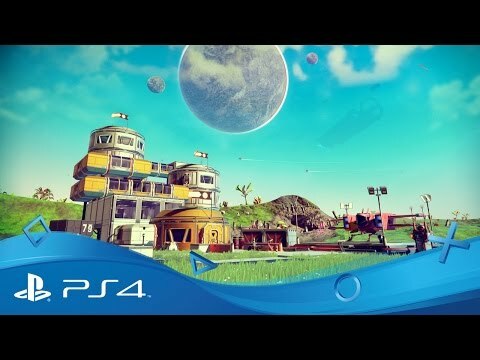 No Man’s Sky Beyond is the entire game brought to life with the power of PS VR. 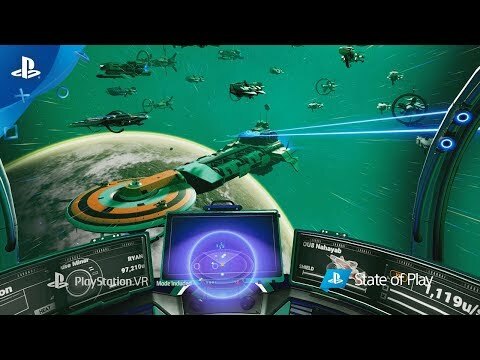 Anything possible in No Man’s Sky is now possible on PlayStation VR. Since its launch, developer Hello Games has continued to expand and refine the No Man's Sky experience, adding new features, story content and graphical upgrades. Find out more about what each milestone update includes and what you can expect to find when you jump in. Vastly increasing the diversity of the universe, Patch 1.75 adds in new biomes and creatures, improved clouds, a diverse new range of skies, rainbows, archaeology and salvage missions. It also updates community missions to make them fully global. Vastly expanding underwater exploration, patch 1.70 adds in new aquatic flora and fauna types, refines underwater movement, adds a new series of missions, water-tight base components and a subnautical exocraft called the 'Nautilon'. 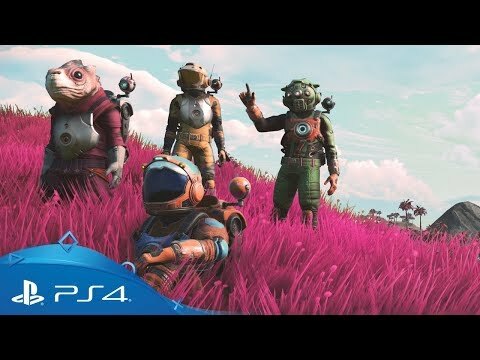 No Man's Sky's biggest update so far, NEXT completely overhauls the game's visuals, adds in a third-person camera view, character customisation and emotes, new economies and crafting systems, and introduces multiplayer. 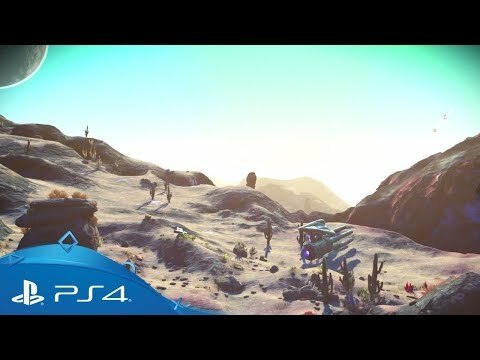 Patch 1.30 adds further graphical refinements improving the overall look and feel of the game along with over 30 hours of new story missions, expanding the lore and history of the No Man's Sky universe. 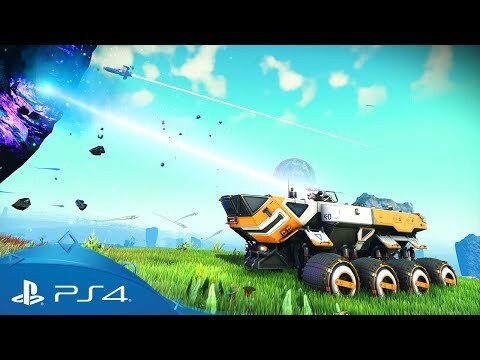 The second major patch for No Man's Sky adds full support for PS4 Pro allowing for ultra-HD resolutions on supported displays along with a range of graphical upgrades, photo mode and a selection of exocraft to deploy on planet surfaces. Patch 1.10 adds in the ability to own freighers, claim home planets and build your very own habitable base along with new survival and creative modes which offer new challenges and ways to play the game. On foot, on two, four or eight wheels, aboard your interstellar freigher or from the cockpit of your fighter-class star ship, the universe is yours to explore. Soar amongst the clouds, burrow beneath the ground, explore vast caves systems or ancient ruins. Buy, upgrade and expand your very own interstellar freighter. With room to house a selection of star ships, build habitable living areas and a cockpit to command your crew. Hire frigates to protect you while in deep space and build an entire flotilla of armed vessels. Build your own habitable bases anywhere on any planet you choose. Mine local resources, farm rare plant species, build landing pads and trade hubs, land-roving vehicles, race tracks and specailist terminals to develop new weapons and technology. Meet, trade with and help out other sentient species throughout the galaxy. How you choose to explore and who you choose to help will effect your standing with different races across different galaxies. Strengthen your reputation to open new possiblities. Build and upgrade your technologies, buying blueprints to add new components and additional modules to your starship, exosuit, exocraft and multitool. The more powerful your tech the more hostile environments you'll be able to explore and prosper from. Wherever you find yourself in the galaxy, you needn't feel alone. Have up-to three friends join your game at any time and work together to fend off bandits, build towering structures, source rare materials or simply wander the endless reaches of space. Join with up to three friends in drop-in, drop-out multiplayer and work together to build bases, hunt down dangerous bounties or scavenge new technology - all you need is PlayStation Plus. Details on all the new features and updates added with Patch 1.75. Details on all the new features and updates added with patch 1.70. Details on all the new features and updates added with patch 1.50. Details on all the new features and updates added with patch 1.30. Details on all the new features and updates added with patch 1.20. Details on all the new features and updates added with patch 1.10. Carve out your own interstellar existence in Hello Games' ambitious procedurally-generated universe. Take in gorgeous alien horizons and deep space phenomena in ultra high-definition. With full support for 4K displays, get the most-detailed, colour-rich experience on the super-charged PlayStation 4 Pro. 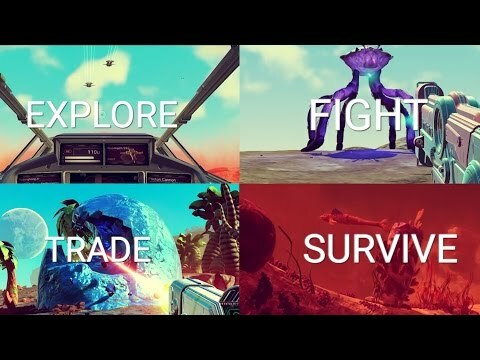 Whether you choose to be a warrior, trader, scientist or to simply explore the endless universe of No Man’s Sky, your journey into the unknown reaches of the galaxy begins here. I did it: I played No Man’s Sky in virtual reality! As announced during our first-ever episode of State of Play, Hello Games’ spacefaring epic gets full PS VR support this summer, and at a recent hands-on event I immediately beelined over to try it out. 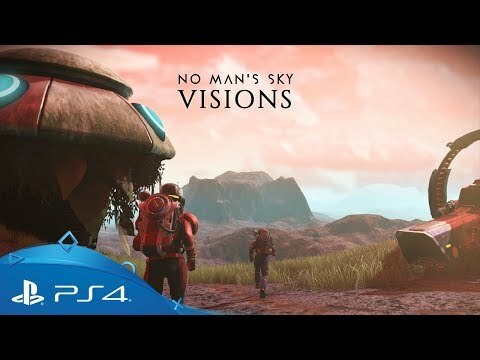 No Man’s Sky’s VR implementation is not a separate […] The post Find out what it’s like to play No Man’s Sky in PS VR appeared first on PlayStation.Blog.Europe. Hello everyone! We’re excited to be able to tell you more about No Man’s Sky: Beyond, a major free update coming in Summer 2019 and the next big chapter in our journey. Beyond is the culmination of several different strands of development. We recently announced the first component, No Man’s Sky Online. 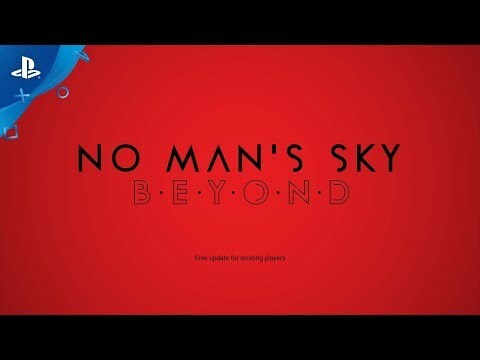 A dramatically updated […] The post Full PlayStation VR support announced for No Man’s Sky Beyond appeared first on PlayStation.Blog.Europe. Hello everyone. We know that there is a lot of hunger out there for news and updates on No Man’s Sky. We wanted to share some information from behind the scenes. Our next chapter will be called No Man’s Sky Beyond, coming Summer 2019. Each chapter for No Man’s Sky has been more successful than […] The post First details on No Man’s Sky Beyond, the huge new expansion coming to the PS4 sci-fi adventure this summer appeared first on PlayStation.Blog.Europe.